Yoga training can vastly improve and maintain personal and team performance results by increasing flexibility and core strength. Shown above are just a few of the football players who now incorporate yoga into their regular training routine. "I've gotten stronger and more flexible. It helps on the field. I feel faster when I run the ball. I can jump higher. You get faster, stronger and flexible. Every athlete should try this." "I thought yoga would make me more flexible but it did a lot more. 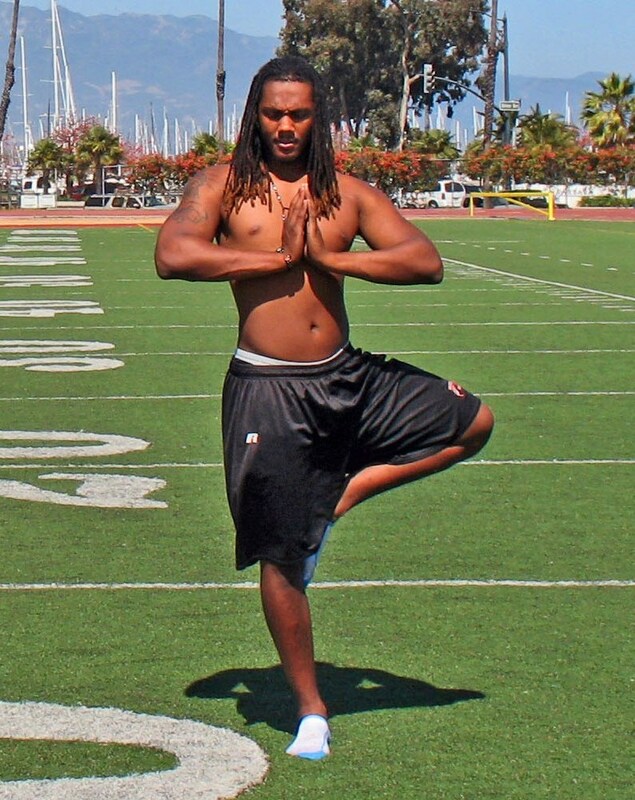 Yoga helps me with the most important things in football, like moving side to side, jumping, and running. It opens my hips a lot so I can take longer strides." The breathing techniques have "increased my focus. Now I'm #10 in the U.S. as a junior!" 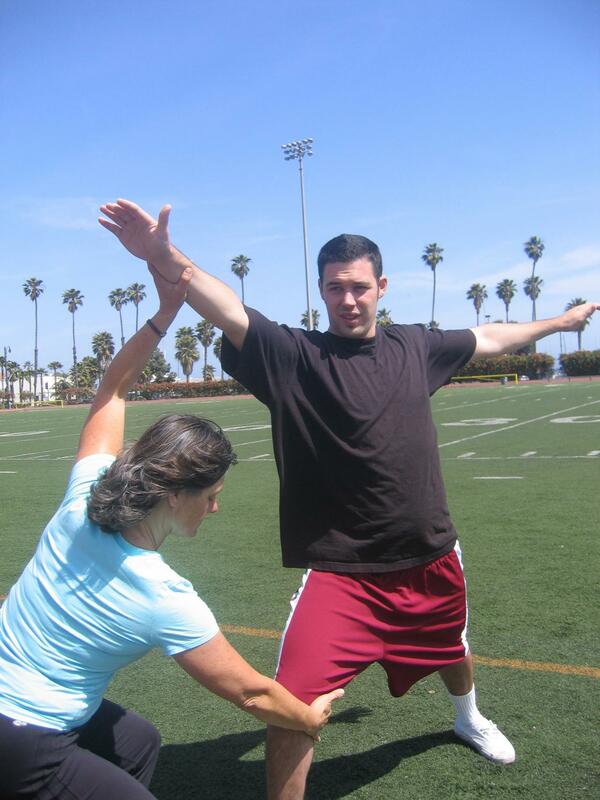 From 2007-2010, Rosabeth worked with Santa Barbara City College Special Teams Football players to help them gain a competetive edge and improve their performance on the field. Dudley LaPorte, 4 Star Tight End; "The quality of the stretch... the level of mental concentration that is gained, These same skills that I used in yoga, breathing and being calm are the same things that I will apply to the football field during big time plays and situations." Anthony Hartz, Punter, 1st Team WSC 2007, Nominated All State, SBCC Record 81 yard punt "Yoga helps loosen up my hips and makes my legs more flexible... I can get more reach ... produces more hang time and distance on the ball. The breathing has helped my confidence. Breathing helps you calm down and relax since you don't think about what is going on around you. You just focus on what you need to succeed."